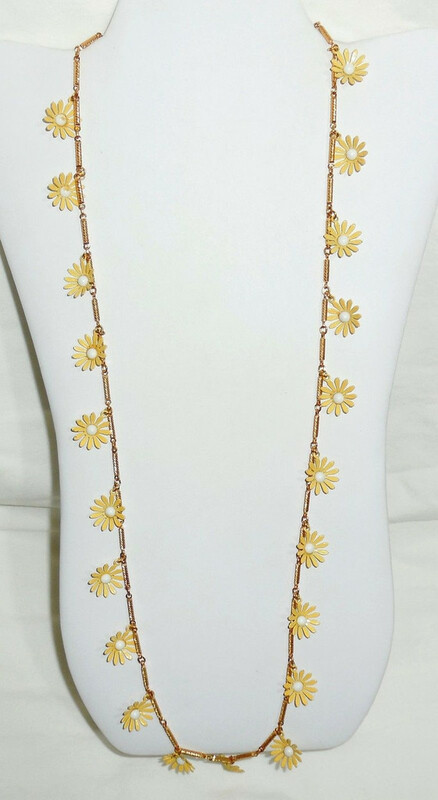 This is a vintage late 1960s-70s Heavy Rose Gold Plated 32 1/4″ barrel chain necklace with bright yellow and white enameled over metal dangling daisies. 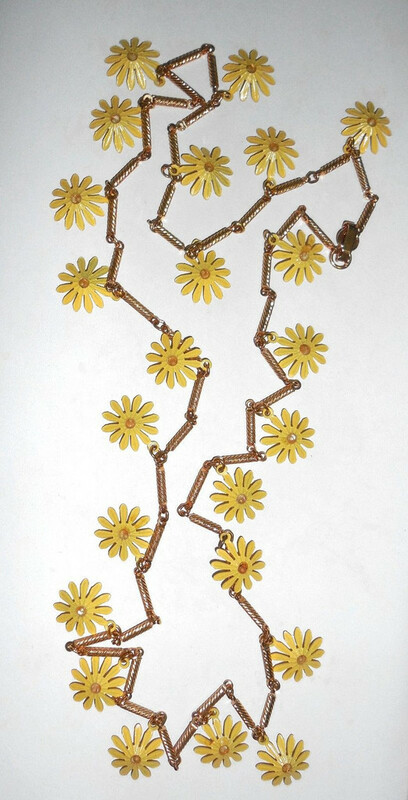 Each daisy measures 5/8″ wide across. 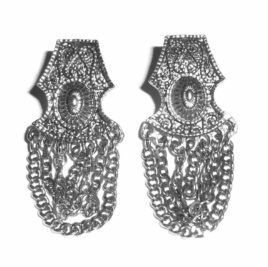 Excellent condition and long, easy slip over the head size. 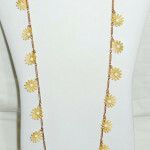 This necklace is so long that it can easily be taken apart to make matching earrings or bracelet. 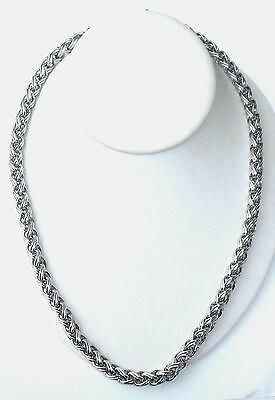 A lovely old vintage statement necklace for your collection. Good for any occasion. 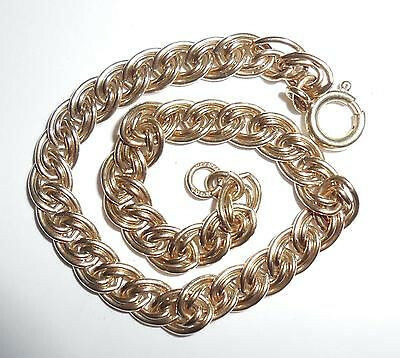 This is a vintage gold filled tube covered rope chain bracelet that is marked 1/20th 12K GF. Never monogrammed or inscribed. Size is 7 3/4" long. The tube is 1 3/4". 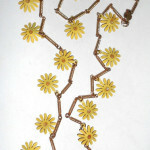 The chaining is 1/8" wide and the tube is 3/16" wide. Weight is 3.9 grams. Condition is very, very excellent. 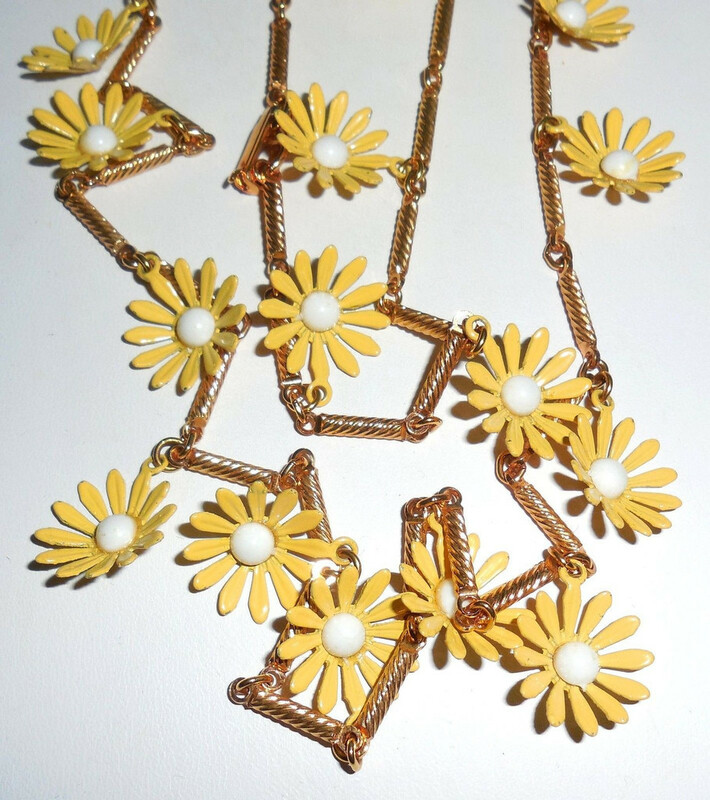 No gold wear. No damage or repair. No alterations. 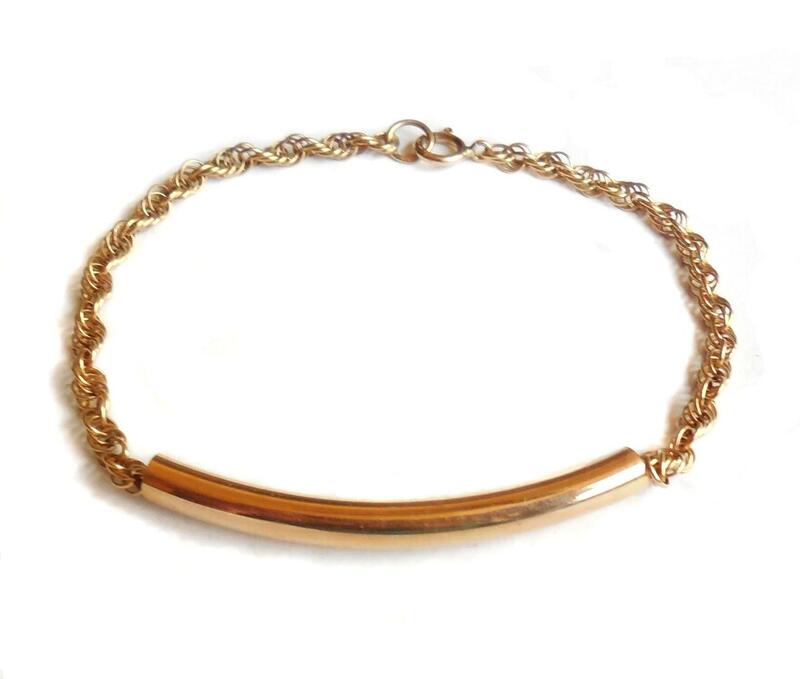 This is a lovely vintage 1970s bracelet to wear alone or to layer with other bracelets.